Testing embedded systems software has become a costly activity as these systems become more complex to fulfill rising needs. Testing processes should be both effective and affordable. An ideal testing process should begin with validated requirements and begin as early as possible so that requirements defects can be fixed before they propagate and become more difficult to address. Furthermore, the testing process should facilitate test procedures creation and automate their execution. We propose a novel methodology for testing functional requirements. The methodology activities include standard notations, such as UCM for modeling scenarios derived from requirements, TDL for describing test cases and TTCN-3 for executing test procedures; other test scripting languages can also be used with our methodology. Furthermore, the automation of the methodology generates test artifacts through model transformation. 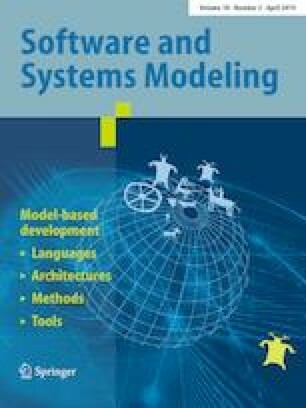 The main goals of this test methodology are to leverage requirements represented as scenarios, to replace the natural language test case descriptions with test scenarios in TDL, and to generate executable test procedures. Demonstration of the feasibility of the proposed approach is based on a public case study. An empirical evaluation of our approach is given using a case study from the avionics domain. Communicated by Professor Jean-Marc Jezequel. This research was supported by CRIAQ, Esterline CMC Electronics, Solutions Isoneo and Mitacs-Accelerated Graduate Research Internship Program. Project title: Test Automation with TTCN-3, Grant Numbers: FR05066, FR05067.